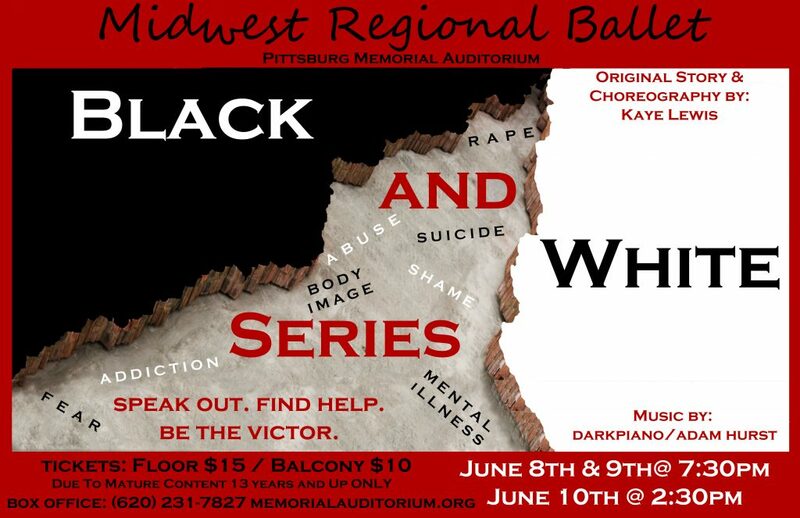 Performances: Friday, June 8, at 7:30 pm, Saturday, June 9, at 7:30 pm, and Sunday, June 10, at 2:30 pm. Original work by MRB Director Kaye Lewis. This performance deals with the fears and shame caused by abuse, addiction, suicide and assault. This show is suited for ages 13 and up. For more information or to purchase tickets call the Memorial Auditorium (620) 231-7827, or visit www.memorialauditorium.org.